LIMITED SPACE AVAILABLE FOR 2018 | BOOK YOUR TEAM NOW! 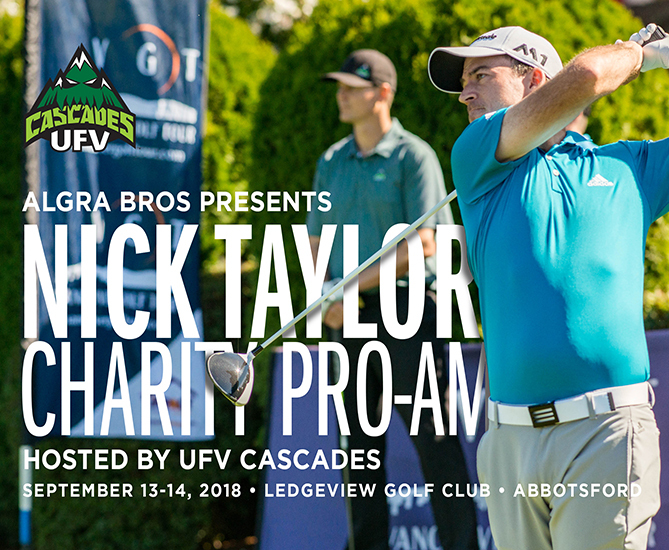 Sign up your team for Abbotsford’s premier charity golf tournament and enter to win up to $10,000 in prizes. 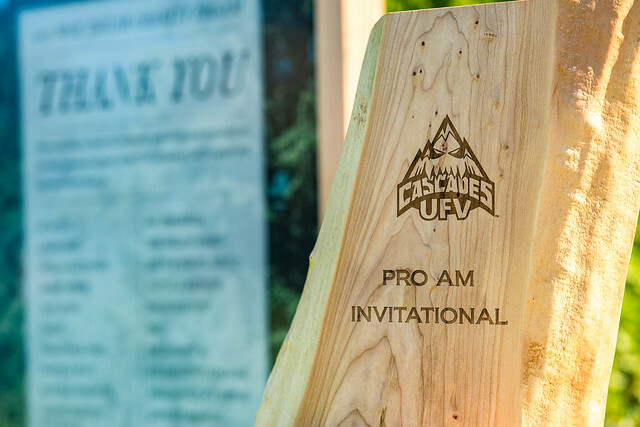 Proceeds support UFV Cascades Athletic programs and local charities. Each three-player team will be joined by a pro golfer. The entry fee includes all meals, green fees, and golf cart use. Kick-off the weekend with a cocktail party and silent auction followed by a special evening of music under the stars. All proceeds from the auction will benefit Starfish Pack Backpack Program. Starfish Pack provides backpacks filled with meals every weekend for nearly 1,000 students in the Lower Mainland. Tournament day opens with a pre-game lunch at 12 PM. Golfing action begins with a 1 PM shotgun start. Carts will be provided. After the tournament, attend an exclusive reception with Nick Taylor. Inventory is limited and subject to availability. *Tax receipt will be issued on request after the event takes place.